Sumo Slots is an online slot game, the title of which speaks quite straightforwardly for its theme. Its background is nothing special-a fat, stylish, red title with tiny Asian lamps with symbols surrounding it in front of a violet wall with beautiful circle shapes. Your eye will be immediately attracted to the 5 reels simply because there is not that much outside of it. 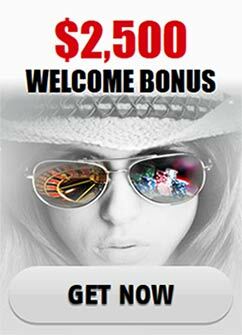 The game offers 25 paylines, plenty of profitable symbols, useful bonus rounds and much more. The game features great sound design that will transport you quite successfully to the ring. Coin sizes start at 1 cent and go as high as 5 dollars. This makes the maximum bet 125 dollars. The wild player of the game is the Sumo wrestler. He has the ability to replace the rest of the symbols in the game with the exception of the scatter ones, which are represented by the Trophy. The Trophies come in with their own combinations that pay reasonably well starting from two symbols and going up to a five symbol combination. Gamblers will need at least 3 Scatters in order to unlock the Bonus Game of Sumo Slots. The most profitable player on the sumo arena is the wrestler himself and the game’s wild. It also has its very own collection of profitable combination and can offer an award of 5000 coins. 4 Wrestlers deliver 1000, 3-100 and 2-10. Then there is a Female Martial Artist symbol, recognizable by her red clothing, yellow belt and exquisitely long black hair. Her five-symbol combination pays 1000 coins, 4 of her pay 200, 3 of her pay 25 and 2 of her pay 2. There is also a younger fighter symbol, wearing yellow clothes, known as the Ringmaster, who keeps the score and has a rather happy look on his face. 5 pay 300, 4 pay 100, 3 pay 20 and 2 pay 2. The circle with the flower on it, known as the Star Symbol, coloured in blue-the same shape that you can see repeatedly on the violet background as well as the tiny tennis racket-like object that the Ringmaster is holding, used to show the score of the sumo fight are also separate symbols in the game and they pay at the same rates: 5 pay 250 coins, 4 pay 50 and 3 pay 15. The regular card symbols also make a most welcome appearance on the reels from A to 9. The A and the K pay 200 for 5, 30 for 4, 10 for 3. The Q and J’s payouts are 150 for 5, 20 for 4 and 5 for 3. The 10 and the 9’s payment is 100, 15 and 4 for 5, 4 and 3 symbols. The Bonus Trophy game in Sumo Slots can be activated after three scatters show up on the reels. Players will see a new screen and they will be presented with 9 trophies. Choosing one of these trophies will bring you an award and the gambler will get to choose all of them. It Is basically one of the simplest and most straightforward bonus games ever-if you unlock it you will not simply be a winner, but you will win everything from it. Sumo Slots is a great game with a classical, all-in set up that provides the full package of slot gaming entertainment and a proper atmosphere for this not too popular but extremely fascinating sport.